*Thank you for supporting our Yoga Teacher Trainees by attending one of their free community classes and allowing them to practice teaching and find their voice. Interested in our next Yoga Teacher Training 200 Hour Foundational Course. Click here for more information. 100% of donations will go to our local region (Region 10) of the Virginia Special Olympics, which provides year-round sports training and athletic competition in a variety of Olympic-type sports for children and adults with intellectual disabilities. This is a service project of In Balance’s Teacher Trainees. Contact In Balance Yoga to make your donation. We will also have baked goods and treats available at the studio for donations. On June 7th the Montgomery County Sheriff’s Office will be running through our county in support of the Law Enforcement Torch Run, which benefits the Special Olympics of Virginia. The Torch Run is an annual event that the area Law Enforcement agencies participate in to help raise funds for the Special Olympics. The Sheriff’s Office will be running from the Blacksburg town line, through Christiansburg, and into the county!! The best part of this event is that all of the proceeds that are raised in our region stays in our region. That means that the money that is donated will go directly to aid our athletes here in Southwest Virginia!! Please help support the Sheriff and his Deputies as they make this trek in support of an awesome cause!!! Paddleboard Yoga @ Claytor Lake - We are back outside! 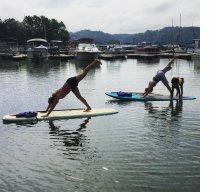 SAVE THE DATE for SUP Yoga at Claytor Lake this summer! Email the studio to reserve your board. 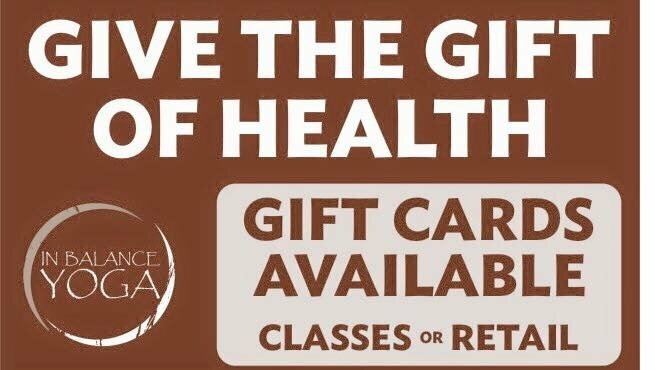 Limited to 12 per class. 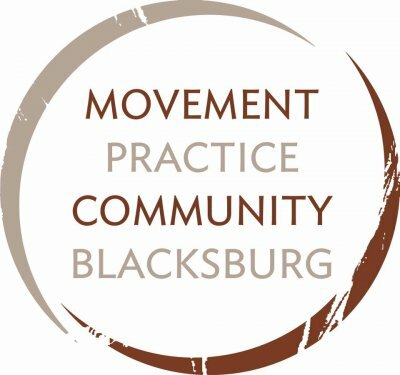 Join us for a community yoga practice as you celebrate Summer Solstice in Downtown Blacksburg. We will have morning yoga on the Cabo Beach, and afternoon and evening yoga at the Alexander Black House. 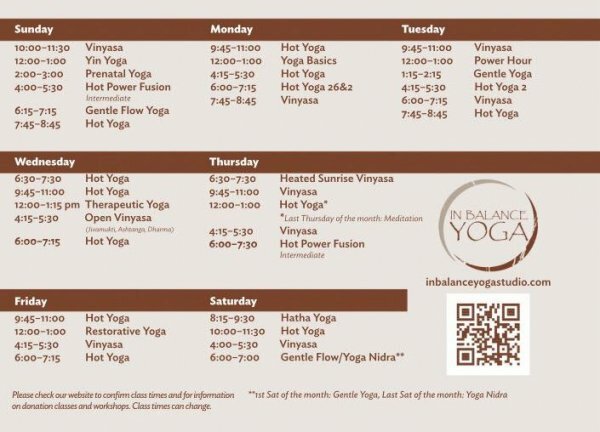 These classes will be open to all levels and there is no charge to attend-- just bring yourself, your mat, water and anything else you might need for your practice. 8.30am-9.30am with Betsy - Join us on the Cabo Beach at 8:30 am for a summer solstice- inspired flow - good music, great community, and a refreshing morning yoga practice. 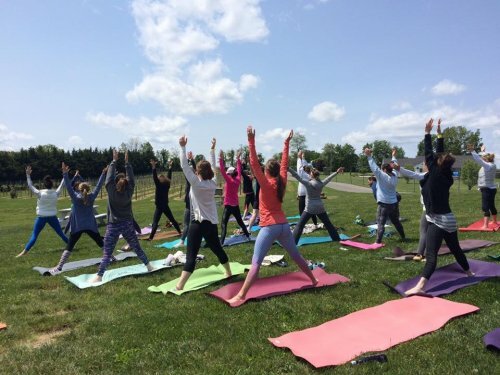 12pm-1pm with Kim - Enjoy a movement-based vinyasa flow on the lawn at the Alexander Black house before heading down to the festival. 5.30pm-6.30pm with Nicole - Join us for 5Elements Earth Flow at the Alexander Black house lawn. This is a grounding, hip-opening practice, which emphasizes stability and strength through a steady and strong flowing sequence. Come root down on the lawn of the Alexander Black House! There is a wide spectrum of yoga practices and yoga practitioners, so why is it that some people thrive on a vigorous asana practice and others flourish when meditating regularly? Come and find out how and why to adapt your yoga practices so that you may blossom and maintain optimal health and well-being now and throughout life’s changing circumstances. Akke has been a student of yoga since 1973 and has been teaching yoga to Blacksburg since 1988. Leia will begin teaching a Heated Sunrise Vinyasa class each Thursday, 6:30 - 7:30 am. Coming Soon: Special Guest - Jeanmarie Paolillo! 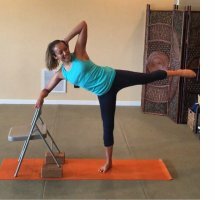 The Christiansburg Library is hosting a chair yoga class led by In Balance Yoga on Thursday, June 16, 11:00 am - 12:00 pm. Contact the studio for more information. Join us for Gentle Pool Yoga at the Clay Corner Inn this summer. 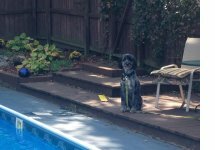 Come have fun doing yoga outdoors in the pool with beatufiul and zen surroundings. Great for those who want to improve balance and joint mobility. Jennifer is a STOTT pilates certified instructor at Blacksburg Pilates and Fitness, ACE certified personal trainer and also certified in the Pink Ribbon Program (post-operative workout enhancing recovery). Her class will include a brief introduction to the 5 basic principles used in STOTT pilates and a mat pilates workout. All levels are invited to attend and modifications can be provided. Yoga at the library for Teens! Blacksburg Public Library is hosting an actives oriented summer reading program called "Read for the Win" in June and July. We are going to offer a short info/demo on yoga for our teens to promote attendance for the program. Hope you can join us on Wednesday, July 6, 2:00 - 3:00 pm. Try our barre class with Keala on Thursday, July 14, 7:45 - 8:45 pm. Barre is a fun and empowering class that will tone & strengthen your body! The warm up focuses on flexibility and alignment, followed by a series of upper body exercise using body weight/light weights. Ballet inspired moves throughout the rest of class will get your heart rate up and build musclular endurance. No dance experience necessary, safe for all ages/abilities. Plenty of modifications given! Drop-in to attend. Restorative Yoga Training with Colleen Dwyer is back! Excited to have Colleen Dwyer back at In Balance Yoga. Join us for her Restorative Yoga Training, October 21 - 24 this Fall 2016.